The Honda Shine is the undisputed king of the 125cc segment and also holds the tag of being the highest selling Honda motorcycle in India. 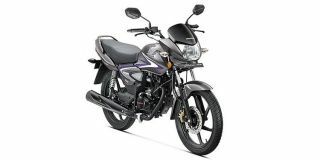 The Honda Shine isn’t going to win any beauty pageant with its styling as the design language is very neutral and that has been done to appeal to the masses. Honda, though, have added vibrant colour options an d restyled graphics to increase its visual appeal. The Honda 125cc bike has simple lines and uncluttered design while the alloy wheels do give it a bit of modern touch. The bike employs an analogue instrument console that signifies its commuter nature. Talking about features, the 125cc motorcycle gets CBS (combi-brake system) and tubeless tyres.